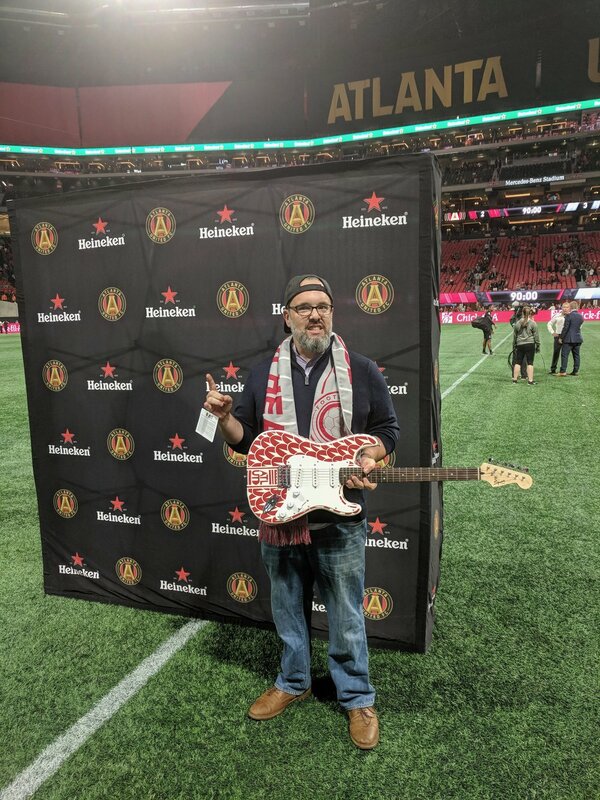 I had the great opportunity to create a custom guitar for Heineken's Man of the Match during an Atlanta United game at the new Mercedes Benz stadium. 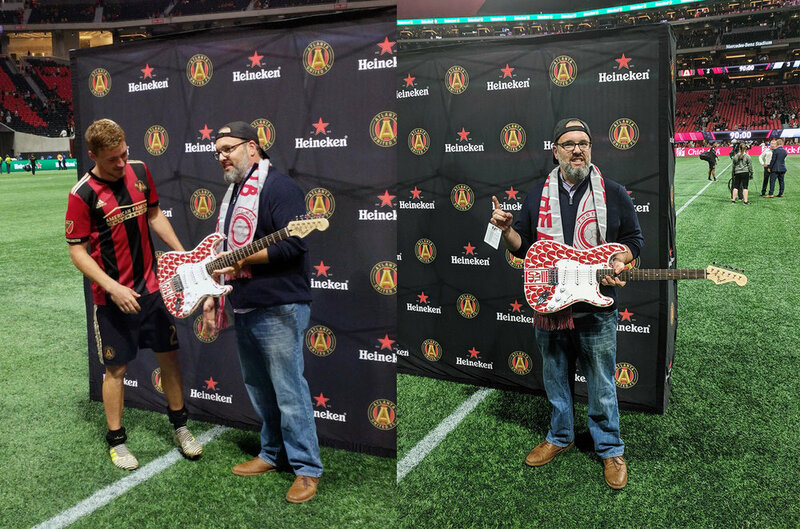 The whole experience was amazing and the guitar went to Julian Gressel as Heineken Man of the Match. Many thanks to ABV gallery for setting this whole thing up. 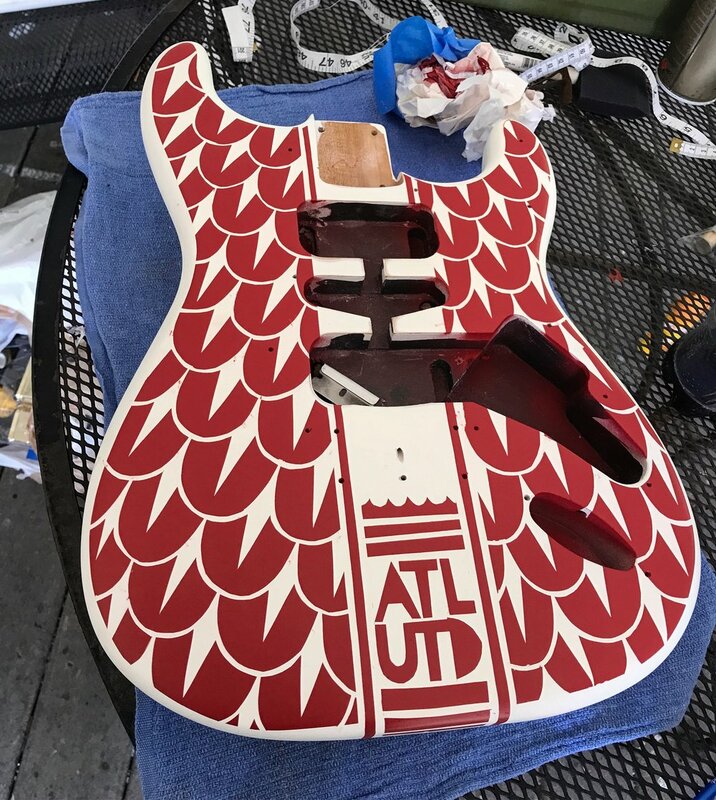 I tried, as always, to document the entire process of creating the guitar. The custom guitar was a classic fender and I used tape, spray paint and razor blades to create the entire design. Check out the photos below to see how it was created and if any of you git-fiddlers need a custom job. Hit me up. YOU ALREADY SUBSCRIBE TO THE CREATIVE LIFE. WHY NOT GET THE NEWSLETTER? I don't send out many emails, but when I do - they are worth it.